Mostly I still can’t believe the biggest, surefire cash cow in Hollywood are kids’ products. If you want to make money in movies, superheroes and animation remain the most viable options. Any concept of old-school stardom is dead. Tom Cruise, Julia Roberts, George Clooney, Meryl Streep can’t deliver box office smashes on their own anymore. The biggest, most bankable star in a Hollywood executive’s green eyes today is…Dwayne “The Rock” Johnson, a bulging medicine ball of charisma and commitment to playing the marketing game; he’s a brand manager’s PR dreamboat. So it’s barely eyebrow-raising that Johnson, too, has been sucked into the superhero apparatus via Shazam villain Black Adam. Assuming a comic book movie role is Hollywood’s newest rite of passage; a better game to play is which actors haven’t donned a cape at this point. But it did not begin this way. 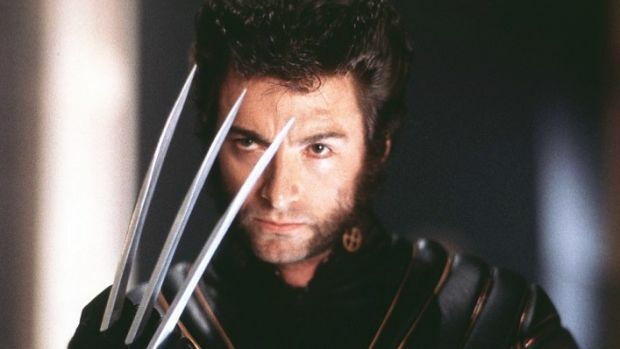 Comic book movies were experiments and it started with X-Men and Hugh Jackman, an unknown Australian thespian cast three weeks into filming and who reportedly earned the role on Russell Crowe’s recommendation. 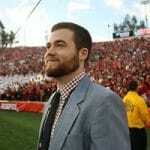 It was pretty thrilling, definitely campy (those chops…), and a financial boon. It effectively altered Hollywood’s foundation, though that’s only realized in retrospect. Still: That it would end up here, with the ultra violent and emotionally brutal Logan, is astounding. It’s already being regarded as one of the best superhero movies of all time, and those opinions aren’t wrong. It’s also a very atypical comic book film, at least how we’ve been conditioned to receive them. This isn’t an installment of a larger canvas, there is no post-credits sequence, no thrown-in romantic interest. Perhaps, Logan is better described as a Western (the retired, cynical gunslinger pulled in one last time) or a wacky road trip movie (Dafne Keen’s Laura wearing those pink, flower-spotted shades is such a fabulous touch) or possibly a mid-budget family drama (a son saying goodbye to his mentally ill father, a father finding he has a daughter and faith in humans/mutants again). The action is vicious, reminding you of harsh War-is-Hell films like Platoon or Full Metal Jacket. Each kill is anti-glorious; you can almost feel Logan’s and Laura’s claws ripping into and away the human flesh as if it were your own. When Laura tosses a human head she’s severed into a crowd of baddies, it isn’t played as a joke or cocky achievement—it’s a warning shot to the audience this cute, little girl is a savage beast grown apathetic to murder. This is not Legolas and Gimli from Lord of the Rings competing for kill counts. Death is very much on the mind of Logan: what it means to face and inflict that fact of life. 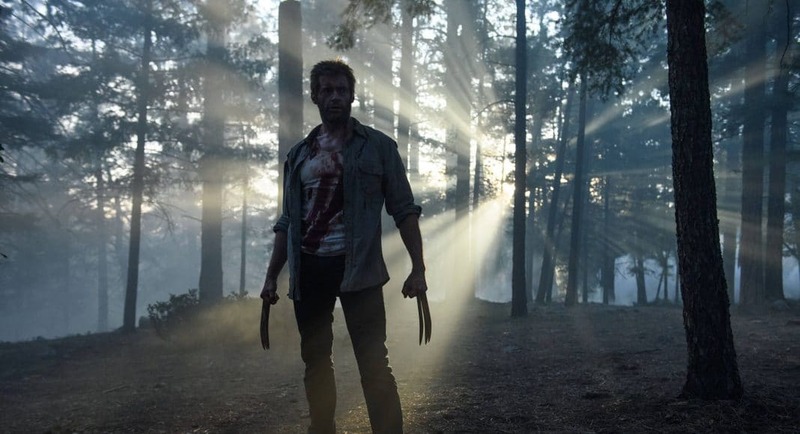 Its characters wear death’s haunting presence on their faces either as an approaching inevitability (Charles) or tormented memory (Logan and Laura who’s mute for the first half of the film). Allow me to remind you something: This is absolutely bonkers! So often comic book movies treat mass murder as a plot device without ever dealing with the pathological impact on its characters or environment. Whole cities are routinely wiped away in those Avengers flicks and even Christopher Nolan’s moody, gritty Batman trilogy leveled football stadiums and hospitals without considered thought. Logan is expressly made for adult audiences. Its often-referenced R-rating only underscores that fact; as seen by Deadpool, an R-rating doesn’t always indicate mature, savage intentions. My stepmother believes it’s the dumbest movie she’s ever seen—which, she has a point, though that’s part of Deadpool’s appeal. Meanwhile I watched Deadpool with my cousin and his friends, all several years younger than me this past summer, as one of them owned it on DVD and half of them could recite all the punchlines. My point: Deadpool is a movie made for teenagers. That’s why, as sarcastically fun and commercially successful as Deadpool was, it can’t be considered a gamechanger. While it tried playing itself as a satirical farce on the genre, Deadpool really just delivered a left-field variation of the comic book movie formula: First chapter of a larger franchise (check), tongue-in-cheek post-credits scene setting up the sequel (yep), death as a punchline (lol), and a paper-thin love story (<3). And so on. Simon Kinberg, often regarded as the X-Men films architect, might disagree, as he told Deadline that Deadpool “was a love story at the core.” My response: kindly gtfoh. That quote goes to show you even talented craftsmen can spew hot garbage from time to time. But Logan has the potential to truly revolutionize the genre. Critically and commercially it’s a smash. What’s more: This is one of those rare cultural moments where everyone simultaneously agrees something was great. Numerous friends have commented how hungry they were for an edgy, realistic superhero film of this caliber. That sentiment matches the ongoing conversation online surrounding Logan, though I don’t think it goes far enough. Logan isn’t really a great superhero movie; it’s a great movie that just happens to include superheroes. All comic book movies grapples with similar themes albeit in various ways: good vs. evil, the burden and isolation of enormous talent, what drives humans to wear the masks we do. Some of that’s in Logan as it’s kind of unavoidable, but Logan more features characters struggling with the tragedy and challenges life throws everyone’s way. It’s the first X-Men movie to showcase what comic book readers have always known: These mutants are a makeshift family of misfits and rejects and outcasts just trying to get by. Getting through life can be really, really hard and without each other, they couldn’t do it. In between all that, they fight the bad guys. The audience was always there but now the avenue there should be clear. Adults want adult movies, even when the characters are based on a childish flavor. Genuine, self-contained dramas within superhero flicks, like Logan, should be an option moving forward. Ryan Coogler’s Black Panther so far appears like it might follow in this trend. So it’s very possible that Hugh Jackman could be saying goodbye to Wolverine in the same fashion as when he first unsheathed those claws—by quietly turning the movie industry on its head once again.